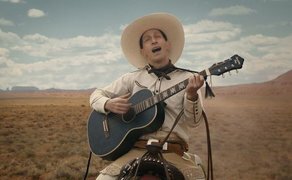 The official trailer for ‘The Ballad of Buster Scruggs’ has been released by U.S streaming service Netflix. Irish actors Liam Neeson and Brendan Gleeson star in the project with Tim Blake Nelson as the eponymous character, alongside James Franco, Tom Waits, Bill Heck, Zoe Kazan and Tyne Daly. Joel and Ethan Coen will produce the project with Megan Ellison and Sue Naegle.